Hundreds of would-be immigrants are today in limbo as a law comes into effect that could stall their bid to live legally in <?xml:namespace prefix = st1 ns = "urn:schemas-microsoft-com:office:smarttags" />New Zealand. The Immigration Advisers Licensing Act requires mandatory licensing of all immigration consultants, but so far just 171 of an estimated 1200 have bothered to get the proper documentation. Many are part-timers who have been put off by the $1995 cost of a licence. The Immigration Advisers Authority had hoped up to 400 would have become licensed in time for today's law change. Immigration New Zealand has said it will no longer process applications filed by non-licensed agents, meaning migrants part-way through the process could be left thousands of dollars out of pocket. Some applicants have paid unlicensed agents up to $15,000 to work on their submissions, but authority registrar Barry Smedts says it cannot help to get the money back because it was not illegal to provide non-licensed immigration advice before today. Licensed immigration consultant Tika Ram said clients of the 1000-odd advisers still unlicensed had been left confused about where they stood under the new law. Some clients have paid the full fees upfront, so they can't just switch to a licensed adviser now without losing all their money. "Advisers should have advised their clients that they will not be able to act on their behalf after a particular time-frame, but many did not." David Cooper, operations manager at immigration consultancy firm Malcolm Pacific, said the issue of licensed advisers had been "off the radar" for would-be migrants. However, many were "waking up to the reality only in the last couple of weeks" after Immigration New Zealand printed forms warning that all applications submitted by unlicensed advisers would be returned. Indian national Raman Balakrishnan paid $9000 to his unlicensed immigration agent, but is now "stuck" after a police certificate from India failed to arrive in time to beat the law change. "I am in a no-win situation. If I let my agent lodge my application, it will be returned. But if I do it myself, I will still have to state that I received advice from an unlicensed adviser, and that will also mean that my application will be rejected," he said. "Does it mean I have to lie and say that I did not receive any immigration advice in order to get around it?" Mr Smedts said the law still allowed would-be immigrants to represent themselves. The relatively small number of licensed advisers was not necessarily a bad thing for the immigration industry, he said. "The industry is now smaller, more professional and has a higher standard of overall expertise. I like to think of licensing as a sort of brand protection that supports good operators and punishes bad ones." But a local Chinese immigration agent - who did not apply to be licensed because of the cost - said the new law would drive many advisers underground. Many would-be migrants would continue to seek advice from advisers within their own ethnic communities regardless of whether they were licensed. "The law is just turning honest and respected community leaders into criminals, some of whom genuinely want to help the people in their communities." Overseas-based immigration advisers will have until May 4 next year to get a licence. 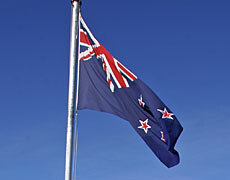 The authority defines immigration advice as "using, or purporting to use, knowledge of or experience in immigration to advise, direct, assist or represent another person in regard to an immigration matter relating to New Zealand, whether directly or indirectly and whether or not for gain or reward". Some people, such as lawyers and MPs, are exempt from needing licences, but the authority says the exemption "probably doesn't cover many people in the not-for-profit, NGO [non-government] and government services who provide support and assistance". * All NZ-based immigration advisers must be licensed from today. * Just 171 of the estimated 1200 advisers have so far got licences. * A licence costs $1995. * Unlicensed agents face fines up to $100,000, seven years' jail and reparations. * Overseas-based immigration advisers have until May 2010 to get licensed.